Today, computer games are the most exploited way of entertainment. A very low number of people can remain immune to games. So, regardless of our age, every person sometimes likes to sit next to the computer and have a little fun playing games. There is something for everyone. Therefore, we can’t even imagine their actual number. No statistics can tell us which games are played the most because each game has its fans. We can only talk about personal tastes. Here, for example I like to play puzzles. However, when you select any of them you activate your brain and then the real competition begins. I must say that almost always you compete with the computer and you are trying to predict its next move through the entire game in order to be in advantage. Each of these games is really interesting and also, brings immense pleasure when you solve the task. Don’t forget that concentration and persistence can be trained through particular games because they can make you start some game over again several times until you complete its task. See what I’m talking about. Here's one damn addictive game. It is called Ball Lines and I sincerely hope that you will leave it in the bookmarks. 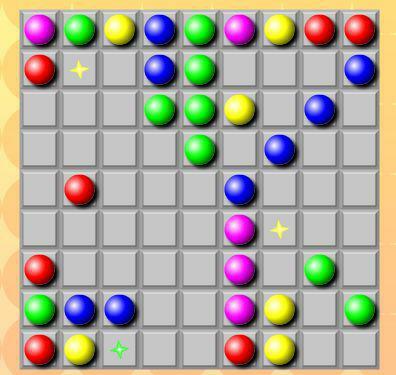 When you start this cool game on your computer screen will appear a few balls in different colors. You need to assemble five of the same color in order to disappear from the screen. This task can be done with a single click on the ball and drag it to the wanted spot. So, you have to accomplish the sufficient number of lines to move to the next level. There will be waiting for you other balls with brand new paint. 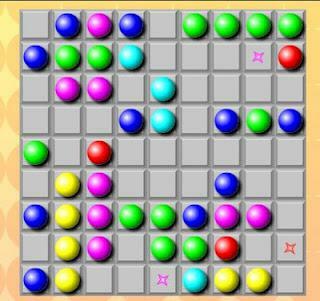 The game ends when you fill the board with balls. I hope you will not let the balls flood the screen. Best of luck!